California Democratic Sen. Kamala Harris is throwing her support behind Vermont Sen. Bernie Sanders, announcing that she intends to co-sponsor Sanders' "Medicare for All" bill, she says, because "health care is a right." Harris tweeted her intentions to support Sanders' single-payer healthcare legislation, directing supporters to sign a petition on her Senate website. 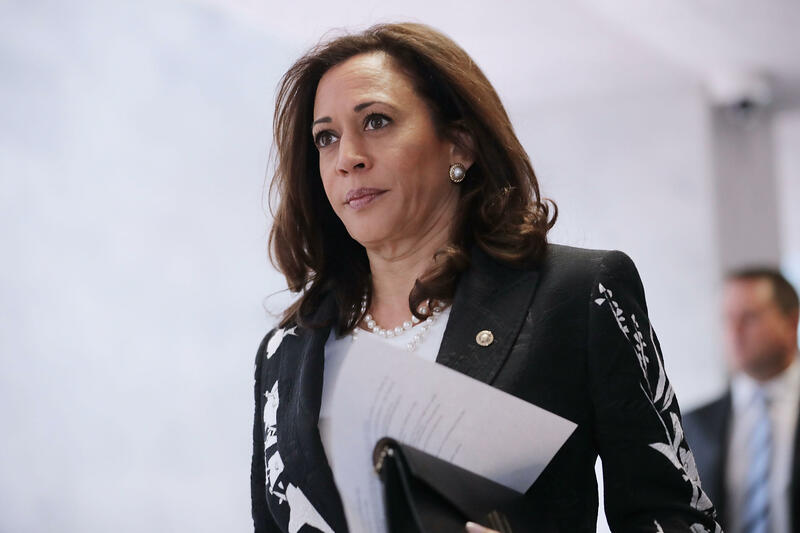 "I intend to co-sponsor Bernie Sanders' Medicare for All bill because it's the morally and ethically right thing to do," Harris wrote. She added, "It also just makes sense from a fiscal standpoint." Harris, speaking after a town hall in her hometown of Oakland, California, said the fight for health care reform is about achieving wider access to quality care. "There's no question that all people should have access to affordable health care, and as we talk about moving toward a single-payer system, I think there is certainly energy and momentum toward that." She added, with a reference to the Affordable Care Act, "Americans are making very clear when they defeated the repeal of ACA, that they don't want to play politics with their health care." Sanders tweeted his thanks to Harris in response, writing "Thank you @KamalaHarris for your support. Let's make health care a right, not a privilege." According to Sanders' blueprint of the plan, the legislation would "create a federally administered single-payer health care program" while allowing patients to chose their own health care provider. "Americans will benefit from the freedom and security that comes with finally separating health insurance from employment. That freedom would not only help the American people live happier, healthier and more fulfilling lives, but it would also promote innovation and entrepreneurship in every sector of the economy," read a statement on Sanders' plan on his Senate website. Sanders' plan, which is estimated to cost $1.38 trillion per year, will be paid by a combination of income tax rates, a 6.2 percent income-based premium paid by employers and a 2.2 percent income-based premium paid by households.